It's almost strange to think that we're just about 12 hours away from Gen Con starting. I know the hall doors don't actually open at 6am, though I have a feeling there'll still be plenty of activity at that time. I don't know if the folks from Modiphius will be up or not, but at some point they'll be headed to their booth and showing off all the cool things they brought for the show. The big thing at the show for them is they'll be signing people up for crews for the upcoming Star Trek RPG. 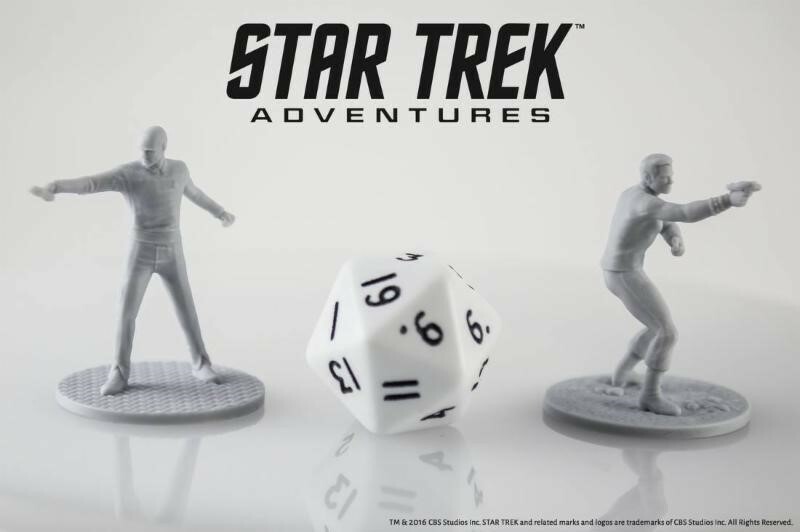 When you sign up you'll get either a Kirk or Picard mini from the upcoming line of figures they'll be producing to go along with the game. Of course, they'll also have their classics like Mutant Chronicles, Airfix Battles, and the Thunderbirds. Can't make it to the show? You don't entirely have to miss out on cool stuff. For the weekend, Modiphius is offering free shipping for all orders headed to the UK, EU, and North America. Just use the code "INDYNOGO2016" (without the quotes) at checkout.